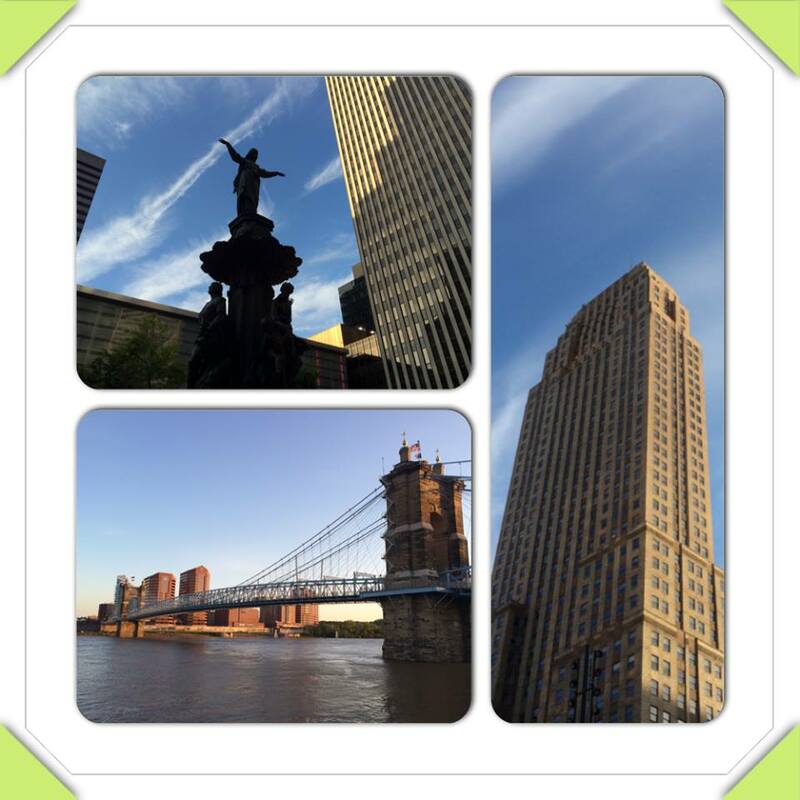 If you researched Cincinnati, you would learn about landmarks such as Fountain Square, the Carew Tower and Roebling Suspension Bridge. Research is the first step in the strategic planning process, as important in developing an effective communication plan as it is in deciding what to see on a trip to a new destination. Imagine going on a trip to a new city. You might Google the city’s name, look on Wikipedia, browse through travel guides, talk to friends who had been there before… You might find out about the cool restaurants, landmarks and aspects that align with your interests. You might do some homework, some research before planning what you could want to do. Or, let’s say you were the coach of a football team getting ready for your next game. You would probably watch video of your opponent from the matchup a year earlier and in games this season leading up to the contest. You would confer with scouts who had seen the competition. You would view media coverage. Etc. You would do your homework, your research, while developing a game plan. It’s no different with planning a strategic brand journalism program! If you are Accredited in Public Relations (APR), you know well that Research is the first step in the strategic process: Research, Planning, Implementation and Evaluation. And that there is Primary and Secondary Research. Primary Research involves one-on-one interviews, surveys, focus groups and the like. Secondary Research includes a review of articles and video about a topic, studying what others have done to solve the problem under consideration, conferring with professions in your networks, etc. Both are very important, as you move on to the Planning phase. Example — I feel extremely fortunate to have been involved in a foster parent recruitment campaign that was deeply researched. My role involved researching portions of the campaign that would help build buy-in from internal audiences. You would think that social workers would be very enthusiastic about a $1 million campaign designed to attract 200 badly needed foster parents. My research showed the opposite. Many of the workers expressed cynicism about the planned campaign. They didn’t support the strategy. They feared it would bring in “wide-eyed suburban do-gooders” not suited for the demanding (yet rewarding) role of foster parenting. They were bad-mouthing it! So, we came up with a multi-faceted campaign that included a brief weekly e-mail with four key points for frontline managers to share with their teams. We asked frontline managers to address concerns and share them with us. We identified who the go-to team leaders and caseworkers were — those that most social workers trusted and admired, not necessarily those with high ranking on the org chart. We took the time to educate them and listened to their concerns, so they could serve as positive ambassadors for the campaign. We held an event, with food and a “sneak preview” of the TV commercials and print ads. When caseworkers complained that they wanted Whitney Houston music instead of Sarah McLachlan, we did focus groups with the target audience — which loved the music — and shared the findings with the social workers. We did surveys to see if social workers grasped key messages and were supportive. As the campaign generated results, we took environmental portraits of new foster parents for spotlighting in our newsletter, on our intranet and in a gallery in the cafeteria. This was a campaign where we had the time and money to do it right. It went to the top of our priority list, and leadership supported us in putting secondary priorities on temporary hold. It won some awards… and, most importantly, met the goal of attracting 200 foster parents. But, my point is, it all started with Research. Just like when you’re researching a trip to a cool place like Cincinnati!